I think August is the month of try-outs :- solid skincare routine , eyelash growth serum  and now nails. Orly Premium - NAILTRITION : for peeling & splitting nails. 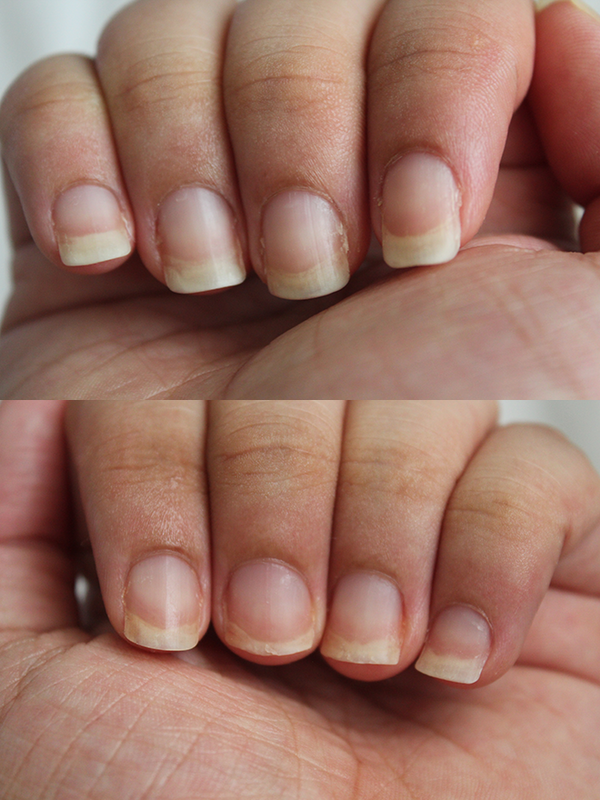 NAILTRITION helps strengthen peeling and splitting nails. Collagen, Wheat Protein, Keratin and Bamboo Extrat help stimulate healthier, faster growth. Nails grow longer and stronger. So far since growing my nails last year [here] using OPI Nail Envy my nails around Sept - October started to break and Nail Envy wasn't working for me. 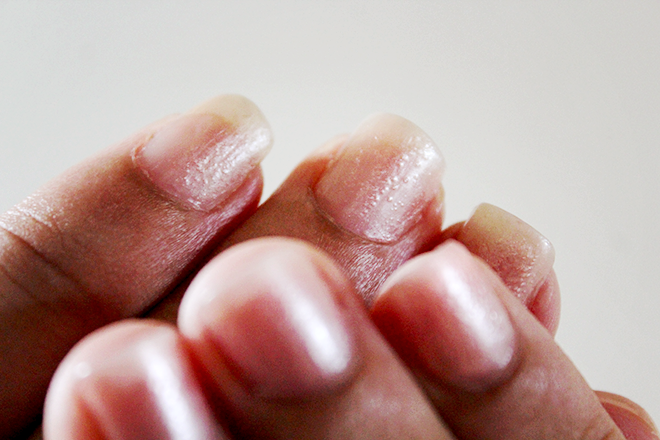 I was then introduce to Nailtiques and that didn't help much either so I decided let me try the HG of nail strengtheners Dr.Lewinns Renunail and while it's helped slightly with length as soon as I take it off for the one day break I'm automatically faced with peeling and breaking - it's unbelievable. My right hand seems to be a lot better with strength than the left hand. Each time they peel, leaves a thin wafer of nail that ends in a split so I result to trimming them down hence why all my fingers are at a different length. Week One - apply 1 - 2 coats daily. Remove at end of week. Repeat two week program as necessary, waiting one week before reapplication. Now this doesn't give a time of when you will start to notice a difference but I will give this a month and see the outcome. I'm not liking the bubbles appearing when the next application is brushed on. I've read it happens when you apply a layer onto another when it's not dry except this hasn't been the case as it's always applied a day later. The finish is lovely, makes not having nail polish on easier. Anyway if it does the job then I want be so miffed over the air bubbles...let's hope I don't have any more peeling or breaking problems. It has to be the oddest thing ever but I've noticed I get this with a lot of nail products I've been using this year. I agree it does dry very quickly which I'm thankful for as I apply it before bedtime. Seems like a great product, I love my Sally Hansen Daily Nail treatment but want to check this one out!